If you missed Mobilegeddon last year, I’m impressed. It was a big deal in the digital marketing industry and a very real example of how neglecting your online presence can impact your business. With that said, the fallout from Mobilegeddon was lackluster at best. Mockingbird can’t be the only SEO/digital marketing company that is feeling like a boy cried wolf. Is Mobile-Friendly That Important in Legal? 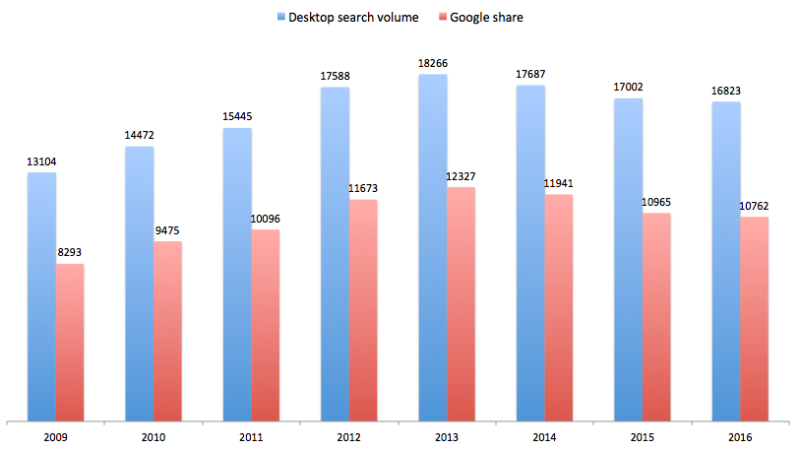 According to ComScore, people using a regular ol’ desktop computer to search peaked in 2013. Each following year, desktop searches have declined. I can’t imagine someone getting in a car accident, receiving a DUI, or seeking legal advice regarding a terrible work situation waiting until they make it home to start looking for a lawyer. Not to mention the effort involved in firing up the old Gateway computer (they don’t make those anymore) to start hammering on a mechanical keyboard (they do still make those) to find the perfect attorney. I can, however, imagine them pulling out their awesome new Galaxy S7 Edge (which they haven’t turned off since buying it) to do a quick mobile search and call directly from the SERPs. If your legal website is responsive, give yourself a pat on the back. If it’s not, there’s no time like the present to make you and your law firm more accessible to the people trying to find you. If you need help, we’re happy to chat: 206-209-2125.